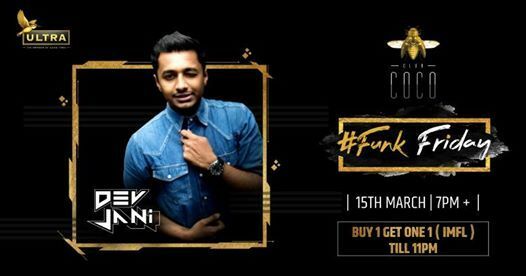 Funk Friday featuring Dev Jani ! 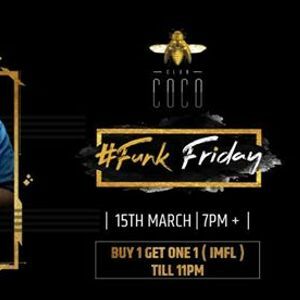 Get the best of hip hop with the talented Dev Jani, tomorrow 8pm onwards only at Coco. All the more reasons to come over, Buy 1 Get 1 on IMFL till 11pm.